Get Shadow Complex for $10.00! The Deal for this week is one of best so far. If you never bought Shadow Complex, now is your chance to grab it for a sweet price. Usually 1200 Points, you can pick up one of the best Arcade releases this year just 800 points. 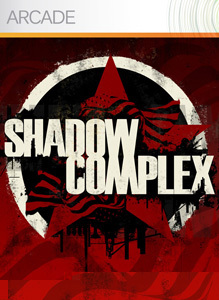 "You’ve entered the mysterious world of Shadow Complex. Now you must save Claire and stop the Restoration! Discover game-altering power-ups and weapons, plus more than 100 other items. Use new abilities to infiltrate the secret underground base. Defeat legions of enemies and battle futuristic bosses throughout the huge game world, with hours of intense gameplay unlike anything on Xbox LIVE Arcade!"